The company’s environmental policy is based on the application of domestic and international environmental laws along with the applicable regulations with respect to the company’s designs and foundations and operations, in addition to production stages, which makes the company bearing the responsibility to enhance the environmental performance and continuous development, as well as the development of its business. The company has given utmost importance to preserve the environment where all sections of the equipment factory is equipped with the latest control technologies for emissions and preserving the environment the best international specifications and standards, and the company was keen also to afforestation surrounding areas and conduct studies and measurements on a regular basis to monitor the impact of the manufacturing process and the extent of harmonization of national environmental legislation, illustrated Over the company’s commitment to these standards through its commitment to continuing to provide the necessary resources to perform manufacturing tasks safely and in ways that ensure the protection of individuals and the environment on an ongoing basis, following many practical policies, such as upgrading the environmental efficiency and the protection of natural non-renewable resources as well as the re-employment of secondary materials as well as work on activation of environmental considerations into investment decisions at all levels. 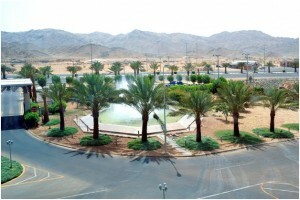 The company is also keen to constantly monitor water quality and in this regard the establishment of stations designed for water treatment and purification by reverse osmosis, which is working on the re-use in landscape irrigation plant in accordance with the conditions and regulations governing the re-use of water.